The Irish consumer's love affair with all things fresh shows no sign of abating, making fresh produce the jewel in the crown of Ireland’s grocery retail sector. 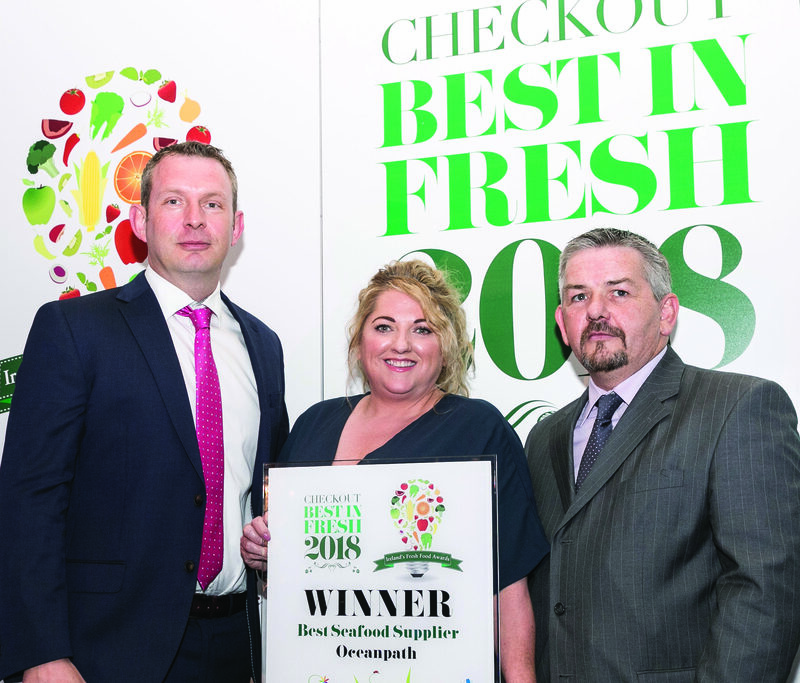 One of the most eagerly anticipated events in the Irish retail calendar, Checkout’s annual Best in Fresh awards is the only industry award that specifically recognises and rewards best practice in the sale of fresh produce. 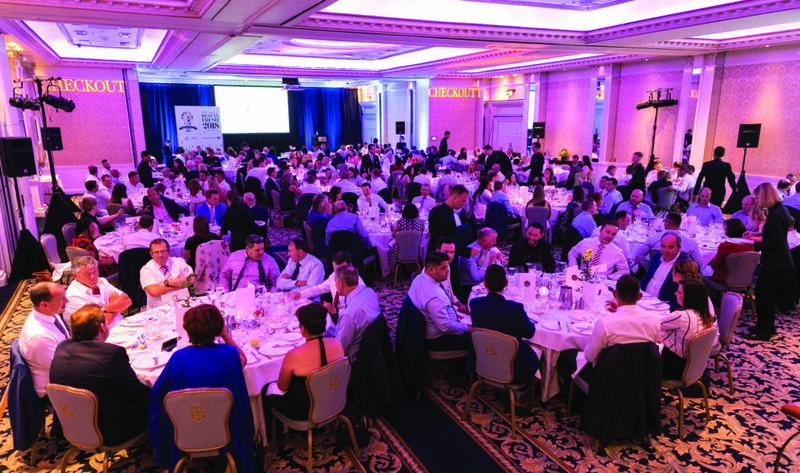 The 2019 awards will take place on 16 July at the InterContinental Hotel in Dublin, and the competition is open to all retail groups and independent retailers, including multiples, symbols, discounters and non-affiliated stores. 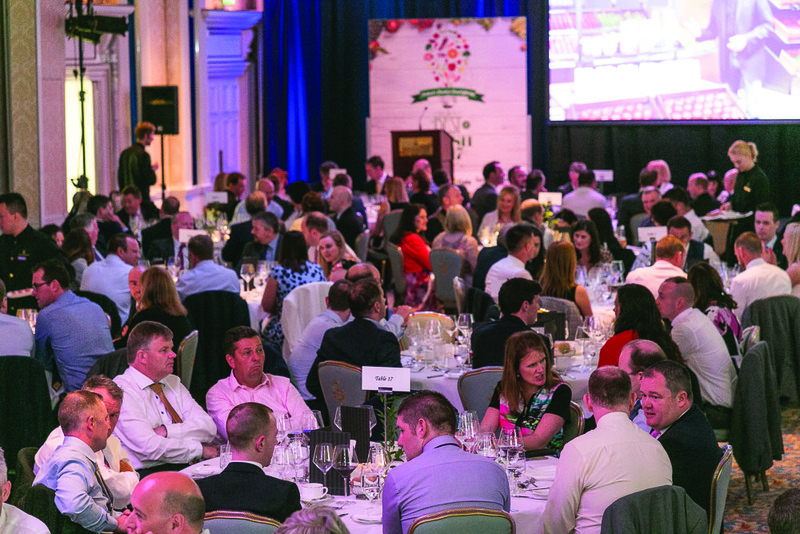 As with last year’s event, this year’s Checkout Best in Fresh Awards will also acknowledge Ireland’s leading fresh suppliers, rewarding category leadership in the fields of Fruit & Veg, Meat, Seafood, Bakery, Dairy and In-Store Equipment. 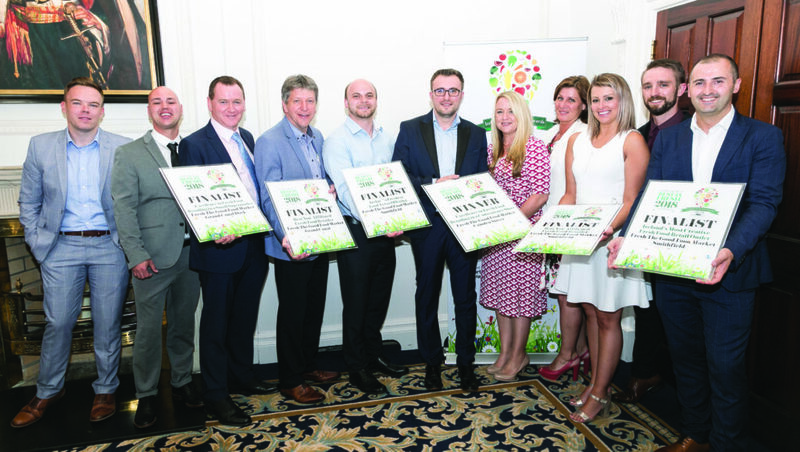 Retailers that enter the Checkout Best in Fresh Awards will be called upon to nominate a leading supplier in each fresh category as part of their entry, from which finalists in each category will be determined. Checkout, 3 Adelaide Street, Dún Laoghaire, Co. Dublin. Jump to Terms and Conditions or Cost of Entry. This category measures large-scale supermarkets – contenders need to display overall excellence across all fresh food categories. This category measures medium-sized supermarkets – contenders need to display strong credentials in all fresh food categories. This category measures smaller supermarkets (as distinct from convenience stores) – space constraints are taken into account, but retailers must still demonstrate excellence in areas such as fish, meat, bakery and fruit and veg. This category focuses purely on the forecourt format – including symbol c-stores based on forecourt sites. Particular focus is placed on deli and hot-food-to-go. However, retailers will also be assessed on other fresh food categories within their stores. This category focuses on c-stores that are not part of a forecourt site, and are focused on a convenience customer rather than a take-home shopper (these stores should enter into the small supermarket category). Deli and hot food are key areas here. However, a wider commitment to fresh food excellence must be displayed. This category assesses fresh food retailing in the discount format. While recognising the more limited fresh food offerings in the discount channel, the award seeks to reward excellence in areas such as fruit & veg, dairy, bakery and chilled meat/fish. Please note that this award applies to an individual store, as opposed to a group. This category recognises retailers from any store format who are truly creative in their presentation, range, sourcing, menu formulation, shopper engagement and creation of theatre within their fresh food departments. In addition, it acknowledges a fresh product range or in-store concept developed by a particular store that has gained a strong following in both the local community and further afield. This category will recognise retailers who have a specific flair for presentation and showcase their range of fresh food in the best possible manner. It is open to retailers from all store sizes and store formats. This category seeks to recognise retailers that display a particular excellence in fresh food retailing, and are not affiliated to any particular symbol group or multiple. 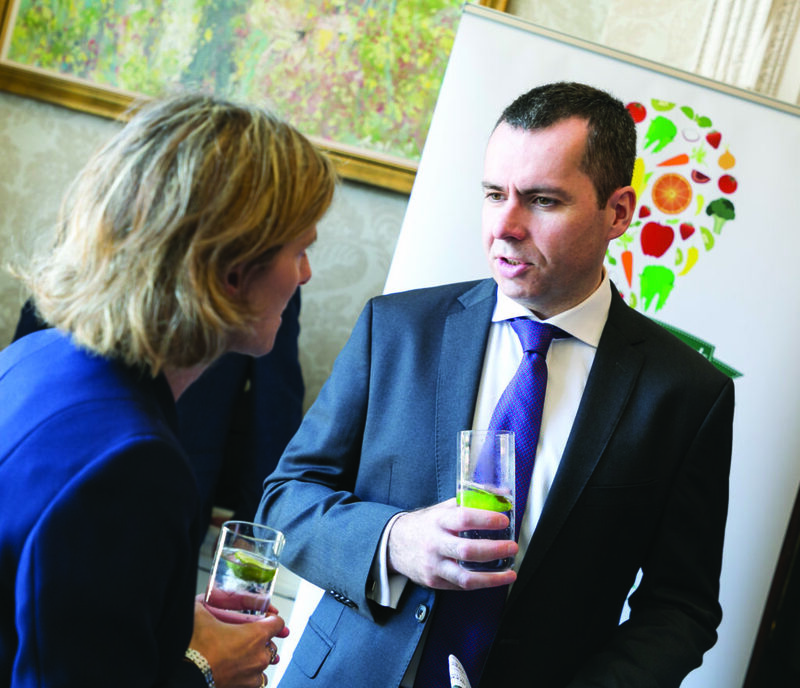 It is an overall award, so retailers need to display evidence of strong fresh food credentials across all key departments. As with all the awards, it is aimed at mixed-traders and not specialist stores. This award will reward retailers that go above and beyond the call of duty to support local suppliers of fresh produce. Stores in this category should display a close-knit relationship with suppliers in their area, and be prepared to ‘sing about it’. Strong evidence of local produce on the shelves is a key criteria. This category recognises excellence in the deli area, including range, quality, value for money, scratch preparation, participation (in terms of overall store turnover), staff knowledge and expertise, display and presentation. It is open to stores of all formats and sizes. This category recognises excellence in the meat category, including range, quality, value for money, local sourcing, participation (in terms of overall store turnover), staff knowledge and expertise, display and presentation. In particular, staff knowledge is of paramount importance. This category recognises excellence in the fish and seafood category, including range, quality, value for money, local sourcing, participation (in terms of overall store turnover), staff knowledge and expertise, display and presentation. In particular, staff knowledge of sourcing policy and advice on preparation is key, as is demonstrating the consistent availability of fresh fish throughout the day and the week. This category recognises excellence in the fruit and veg category, including range, unique or unusual lines, quality, value for money, local and Irish sourcing, participation (in terms of overall store turnover), display and presentation. In particular, stores need to provide evidence of their sourcing policies in relation to fruit and veg throughout the year. This category recognises excellence in the bakery category, including range, quality, value for money, scratch baking/in-house preparation, participation (in terms of overall store turnover), display and presentation. In particular, retailers should provide evidence of scratch preparation and/or the use of local suppliers, and how this contributes to the uniqueness of their offering. This category recognises excellence in the food-to-go category, including range, quality, in-house preparation, value for money, local sourcing, participation (in terms of overall store turnover), staff knowledge and expertise, display and presentation. The award will look closely at the variety of menus and range at all times of the day (breakfast, lunch, dinner), with presentation and consistency a key factor. This category recognises excellence in the dairy category, including both the dairy wall (milk, yoghurt, cream etc) and cheese. Product knowledge is essential. Key factors being considered include a commitment to Irish suppliers, presentation, hygiene, range and value-for-money. This category is aimed at a group level for both multiple stores (including discounters) and symbol groups, and assesses overall excellence across the entire store network. Entrants should demonstrate how standards are upheld across every store, and how consistency in offering and quality is achieved at a group level. This award is open to retail multiples and symbol groups, and acknowledges innovation and efficiency in the fresh supply chain. Given the increased emphasis on fresh produce in-store and a growing need to improve supply chain efficiency and costs, Checkout will honour a retailer that has excelled in delivering a fully-optimised logistics solution. Applicants for this award should contact [email protected] for details. Those stores who enter the awards will be visited by a mystery shopper. Following a site visit a short list of the best scored stores will be entered into the second round of judging. These stores will then be visited for a second time for further analysis and from that list the finalists and winners will be selected. In some situations a third store visit is undertaken for certain stores if the head of the judging team feels it is required. The cost of entry per store is €100+VAT. For those entrants who would like to enter their store and also receive a copy of their mystery shopper report, the fee is €150+VAT. However, they will receive a €50 voucher on the purchase of tickets for the 2019 Awards if attending. Prices are subject to VAT of 23%. The awards close at midnight on 23 April, 2019. Businesses can enter up to five different award categories and can win any number of categories. Finalists are chosen at Checkout’s discretion and judges’ decisions are final – no correspondence will be entered into in relation to disputes on shortlists or the auditing process. There can be no appeal against the decisions of the judges and these decisions must be accepted as final in respect of all matters concerning the Best in Fresh Awards, including the interpretation of the conditions of entry. As part of the entry process, companies who enter their stores are required to send a representative(s) from their store to the awards if they are one of the top finalists. Any information supplied in the entry form may be used in Checkout’s coverage of the overall award winners in Checkout magazine (unless specifically requested otherwise).